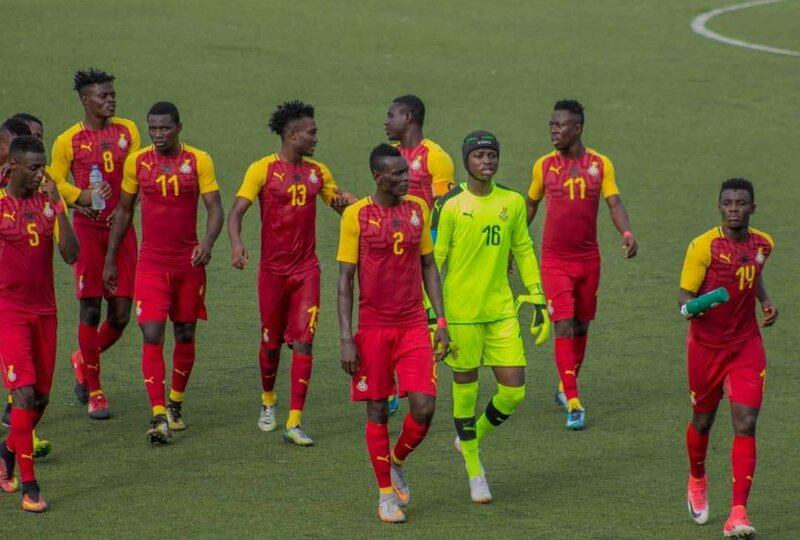 Ghana’s Black Satellites had one simple job ahead of their final group game at the ongoing Africa U-20 Cup of Nations: avoid defeat against Mali and qualify for the summer’s FIFA World Cup. They blew it. Oh, yes, they did! Out of two possible scenarios which would’ve sent them to the showpiece in Poland — i.e., win or draw — the Satellites got none, instead losing 1-0 to suffer a first-round exit and simultaneously fail to qualify for the World Cup. Long before that last game, though, Ghana seemed out of sorts and an anti-climax was always on the cards. The team’s performances at the competition, in all three group games, were nothing to write home about. They looked confused, clueless, lacking pattern and direction. And when one sees such consistently poor output from a team, the blame is mostly the coach’s, and rightly so in this case. Jimmy Cobblah’s tactical competence — or lack thereof — has come under serious scrutiny after his side’s miserable showing, but the sad reality is that he isn’t the only one shown up in the light of this mess. The Satellites’ display just highlighted the general deficiencies of our local coaches. 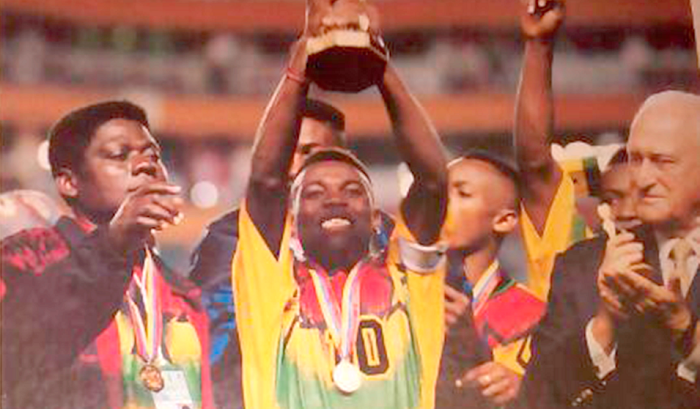 Coaching standards in the country have fallen so low that it’s hard to believe there was a time when a Ghanaian trainer — the legendary, late Sam Arday — took the world by storm with his famous ‘multi-system’ tactics and dominated global youth football. They say things usually get better with time, but this particular situation has quickly degenerated — from great to bad to sad. The likes of Cecil Jones Attuquayefio, Fred Osam-Duodu and Sellas Tetteh set a mark of excellence which, given recent trends, wouldn’t be eclipsed anytime soon. Many of the current breed struggle to read tactical patterns during games and, even worse, can’t even properly explain their own systems. Question-and-answer meetings between journalists and coaches at local games almost mirror Sunday service praise-and-worship sessions. Walk into a Ghana Premier League post-match presser and quiz a coach on what worked for his team on the day. The likeliest answer? And that’s it; next question. When they’ve just lost, it’s even worse. Now, we don’t have anything against God. Love Him, absolutely. Still, answers like these show just how inept our technical men are when it comes to the basics of the game, but this despairing reality is not entirely the fault of the practitioners themselves. Those in charge of developing our football simply have no plan for upgrading them, and that in itself is alarming. Football changing very rapidly, with new trends and methods popping up each day, demands investment in our coaches for them to be reckoned among the best. Come to think of it: just how many quality coaching workshops do we provide for our coaches annually? And how much money is actually pumped into making sure they get the best and latest footballing education? Countries like England, Spain and Germany that are already miles ahead in football still see the need to make a conscious effort toward beefing up coaching programs. So, really, what is Ghana’s excuse? If we really want to develop our football, the key is to understand that it will involve a holistic approach; that all angles need to be looked at. Educational logic requires that one spends as much time in getting the best learning materials and infrastructure for learning as on improving the quality of teachers, else very little impact will be made. See, that applies to football. We can invest in the best facilities and the most talented players, but if the coaching is poor, the produce would be directly proportional to the latter. Put simply, quality coaching yields quality players and corresponding success — and that’s a lesson our national teams and clubs keep learning the hard way. Time and again. Ghana football is presently at a crossroads, in the aftermath of ‘Number 12’, and this is the perfect time to focus on sharpening the skills of our local coaches. Really, it’s now or never.